Part Number: HL5240ZUI. Brother HL-5240 A4 Mono Laser Printer. The Printer Broker Ltd is a supplier of printers, fusers and printer parts based in Bolton, Greater Manchester, UK. 30ppm Mono Print Speed. 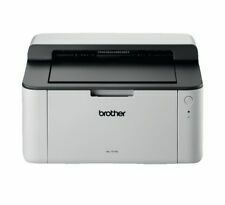 Brother DCP-L2530DW Mono Laser Printer. Brother DCP-L2530DW Mono Laser Printer DCPL2530DWZU1. Built to perform for longer. Made from robust and hard-wearing material, providing the peace of mind that your printer will keep on going. 38 ppm fast printing. Includes extra toners. Condition is Used. The 2 line, 16 character LCD screen allows easy access to all of this printers features. Brother DCP-L2520DW in More Detail. Printer Resolution1200 x 1200 dpi Print. Printer Enhanced Resolution2400 x 600 dpi Print Enhanced. Up tp 40 ppm Mono Print Speed. Great Chance to get a Used Printer at a bargain price! This item has been previously used. This item is fully operational, and functions as intended. 7.2 Seconds First Page Out. Brother HL-L2370DN Mono Laser Printer HLL2370DNZU1. Built to perform for longer. Made from robust and hard-wearing material, providing the peace of mind that your printer will keep on going. 34ppm Mono Print Speed. 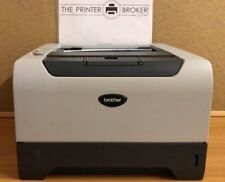 Brother HL-1210W A4 Mono Laser Printer - BRAND NEW! Giving you fantastic quality prints at great speeds, the HL-1210W is simple to install – via USB or wireless. Also, with Anti-Jam technology built in, you know you can rely on this Brother mono laser printer. 5 out of 5 stars - Brother HL-1210W A4 Mono Laser Printer - BRAND NEW! 11 product ratings11 product ratings - Brother HL-1210W A4 Mono Laser Printer - BRAND NEW! Up to 40ppm Mono Print. This printer was bought as part of a job lot for our offices and has remained unopened and sealed ever since. 50 Sheet Multipurpose Tray. Windows & Mac Compatible. Cortex-A9 800MHz Processor. USB 2.0 connection. We will always go out of our way to source the product you are looking for. AFAULTY Brother HL-5440D A4 Mono Laser Printer. This is being sold as faulty, It has a drum error problem, I've replaced the drum with a new one and also the toner but it's still showing as drum error, I've tried my best to clear it but I don't have the patience so I've bought a new printer! These Printer are our refurbished Printers. •Printer repairs undertaken. Isle of Man : IM, EVC. 12 £15.00. They are fully tested and working and fully cleaned. •On-site warehousing and logistics. Scottish Highlands: FK17–99, G83, IV1–28, IV33–39, KW all, PA21–33, PA35–40, PH18–26, PH30, PH31–42. Brother HL-1110 A4 Mono Laser Printer. 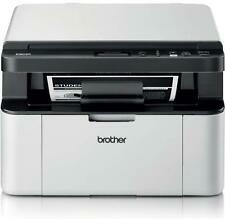 The Brother HL-1110 A4 Mono Laser Printer can print at up to 20 pages per minute. Brother HL-1110 in More Detail. The drum unit is also easy to replace after 10,000 pages . Part Number: HL5440DZUI. 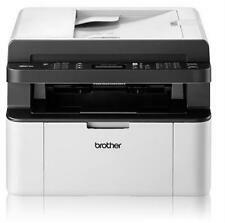 Brother HL-5440D A4 Mono Laser Printer. The Printer Broker Ltd is a supplier of printers, fusers and printer parts based in Bolton, Greater Manchester, UK. Inks, Toner and Drum not included. Brother HL-5380DTN Duplex/Network Mono Laser Printer with Extra Paper Tray (LT-5300) Warranty. Green Printer Collections. Fully Refurbished and supplied with Good Part Used Toner And Power Lead. Used and refurbished products may have minor signs of use and will not affect the function of the item. Brother HL-L5000D Mono Laser Printer HLL5000DZU1 HLL5000DZU1. 40ppm Mono Print Speed. Printer Type Mono Only. Printer Technology Laser. Printer Unit. Printer Connectivity USB. Printer Function Print. Product Type Laser Printer. USB 2.0 and Parallel connections. Add to Favourites. We will always go out of our way to source the product you are looking for. Part : HL5340DZU1. Brother HL-5340D A4 Network Mono Laser Printer. The Printer Broker Ltd is a supplier of printers, fusers and printer parts based in Bolton, Greater Manchester, UK. Personal Compact Duplex Ready Desktop Printer. USB and Network A4 Mono Laser Printer. Brother HL-L5100DN. Up to 40ppm Mono Print Speed. 1 x Brother HL-L5100DN. USB & Network Interface. 1,200 x 1,200 dpi Print Resolution.